Our family has been family camping for the past few years. We started out tent camping, andthen moved on to a small camper. Our kids actually enjoy family time together outdoors. We do not get any complaints about them being bored, and they are actually entertaining themselves without television or video games!!! Our children love to get out on their bicycles and ride for hours on end, getting in the creek, throwing rocks, hiking…. you name it! 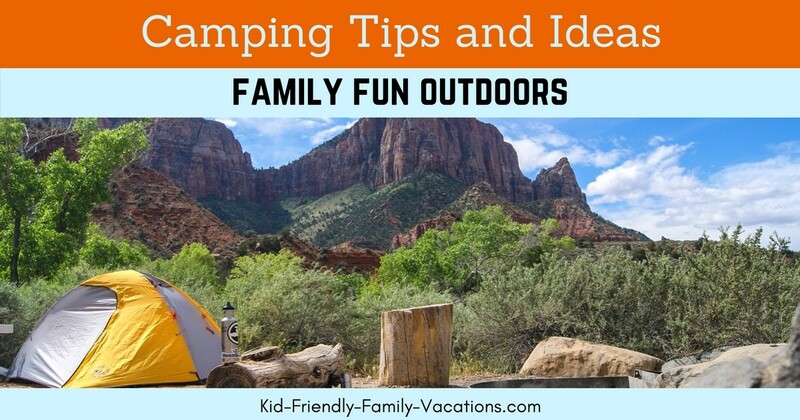 Family camping vacations are a perfect way to build memories, build relationships with your family, spend quality time outdoors. 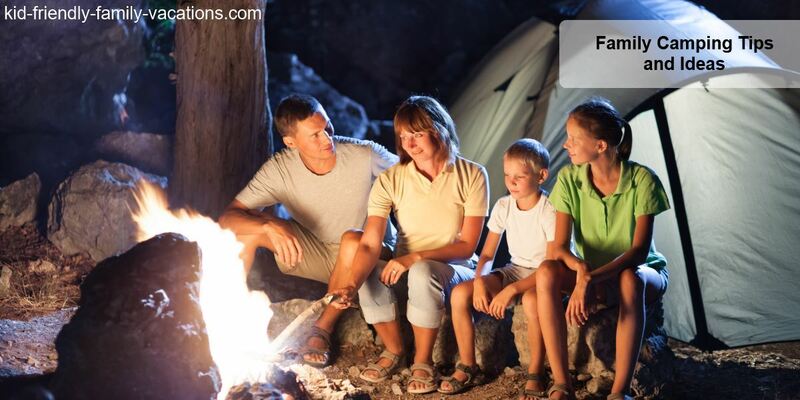 Where else will you have the opportunity to spend time with your family around a campfire? Where else can you cook outdoors, play games, spend some time involved in fun outdoor activities? Where else can you just spend quality time with your family in a great outdoor environment? So, get your kids camping equipment together, and lets hit the trail. Every area of the country has state parks, and National Parks. We really enjoy camping at the state parks in our area. If you keep your camping supplies ready to go by following our camping checklist, you can take a weekend trip without much planning or preparation. The state parks that we have camped in offer programs such as “ghost stories” by the campfire and nature walks…. We have taken our camper on several of our family vacations. We have camped in Williamsburg, VA. and Myrtle Beach , SC on week long trips. The family camping trips have been some of our favorite trips…. the campgrounds that we have found offer many more activities than hotels, and you get the taste of outdoors that you get only with camping. 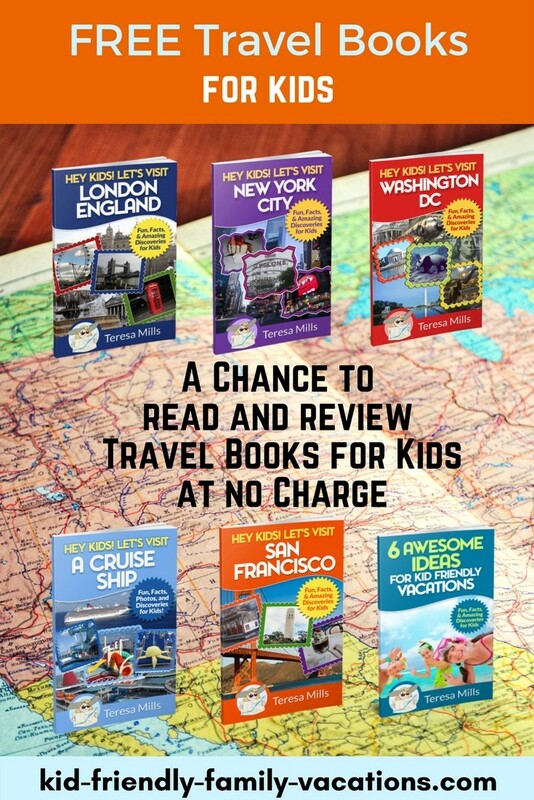 No matter where you choose to go, there are campgrounds out there….. but the best resource that we have found is the Good Sam RV Travel and Savings Guide -An up-to-date, full descriptions and details are provided for nearly 12,000 public and private campgrounds. Some of the most fun we have had on family vacation camping trips is while hiking. You do not have to trek for hours and hour on long trails to have a good time hiking….. some of our most fun hiking trips have been 1/2 hour to 1 hour walks that are close to our campground. Well, you can make your hiking trips as strenuous or as mild as you like…. the idea is getting the family together for some time together. When we camp, our children bring their bicycles along. Campgrounds are usually very kid friendly and adaptive to children riding bikes. Our children can bike for hours and hours at a time….. and you have to admit that getting the kids out and on bicycles is great!!!! If there is a swimming pool at the campground that you are staying at, by all means, take the kids out to the pool. 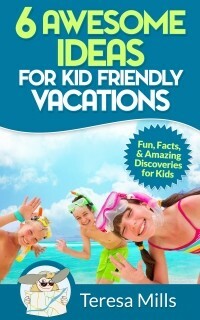 Kids of all ages love the water and love the fun of getting the family together swimming. 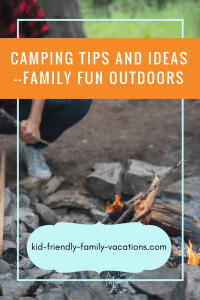 You can have some of the most wonderful family time around a campfire. Our family enjoys spending time roasting marshmallows, talking, and just catching up on our lives around the campfire. 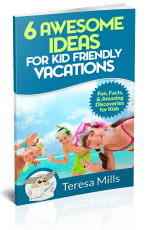 As an extra tip – here are some great treats that you and your family can make while around the campfire…. S’Mores – Graham Crackers, Hershey Chocolate Bars, and a roasted marshmallow – put it all together in sandwich fashion, and enjoy. Fruit Pies – Use two regular slices of bread spread with butter on both sides, placed in a Square Sandwich Maker . Before closing the sandwich maker, spread canned pie filling on the bread (choose cherry, apple, blueberry, etc.). Close the sandwich maker and grill over the campfire. After finished, remove the pie, and sprinkle with powdered sugar…. UMMM…. Grilled Cheese Sandwich – Using the same Square Sandwich Maker as in the fruit pie recipe, slap a couple of pieces of bread in the sandwich maker, along with some cheese, and grill the sandwich over the campfire… It will be the best grilled cheese sandwich that you have ever had. ball called the pallino, which is slightly smaller than a tennis ball. 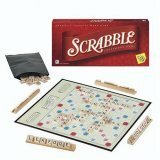 Scrabble – I know that this is a game that you can play anywhere, but our family really enjoys pulling out the scrabble board on the picnic table after dinner, and playing…. it is also a great way to build the family vocabulary. Mexican Train Dominos – This is one of the most fun games that there is to play. This is a simple yet fun variation on the fun camping game of dominos. The Mexican train rendition of the game makes the game a little easier for kids to join in on the fun by allowing the players to play off others trains as well as their own. 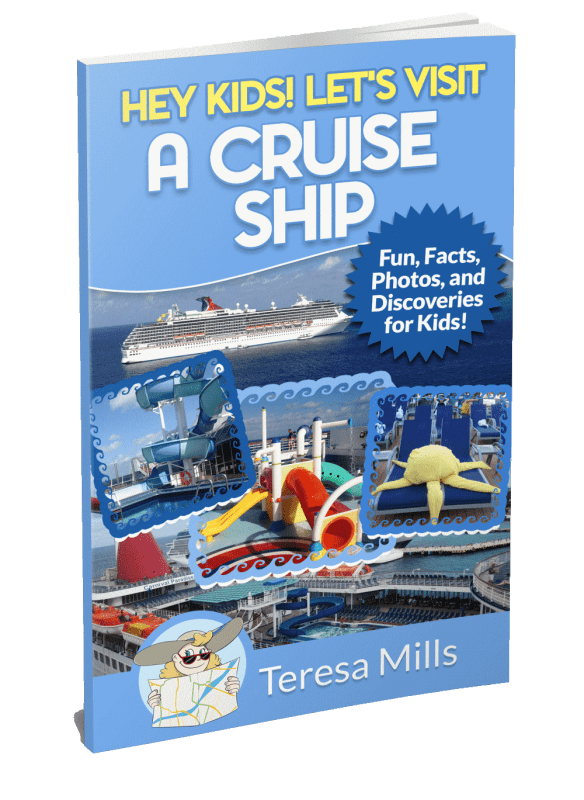 All of my children really enjoy this game, and it makes for some fun round the table game playing….